The idea of a society devoted to marine science was, it seems, first mooted in a conversation between G. Herbert Fowler and R.N. Wolfenden, and their discussion led to the foundation of the Challenger Society in 1903. Fowler and Wolfenden also took a leading part in a number of projects undertaken under the Society's auspices during its early years. Nevertheless, by the mid-20th century both men had become rather shadowy figures, almost forgotten by the oceanographic community, even though both had written on marine science, and Fowler had edited, as well as contributed to, the Society's influential publication, Science of the Sea, which appeared in 1912. The lack of later publications in scientific journals, not to mention obituaries of Fowler and Wolfenden themselves, was therefore puzzling. In the early 1980s, during a search for further information about Fowler, I learned that a collection of his papers was held at the Bedfordshire Record Office, and that the then County Archivist, Patricia Bell, had already published a short account of his life which explained why he is now better remembered in this very different setting of local history and archive management. Meanwhile, David M. Damkaer. *1 of Seattle had for some years been researching Wolfenden, whose work on copepods had initially attracted his interest. Similarly struck by the dearth of information on Wolfenden, he embarked on a more extensive biographical study and had the good fortune to discover a family member in North America, through whom he gained access to Wolfenden's surviving papers. I am grateful to both Dr Damkaer and Miss Bell for their generosity in sharing their findings with me over the years. Their researches have made it possible to obtain a much clearer understanding of these two figures, who played such a key role in establishing the Challenger Society and yet have faded from its collective consciousness. Why this has occurred becomes clearer with more extensive knowledge of their careers which, in both cases, changed course not once but several times. It turns out that marine science occupied only part of their working lives and that both achieved reputations in other fields. Knowledge of how they came to take up marine science, and equally abruptly to leave it, helps to explain how, during their active period as marine scientists, both were concerned to promote the science of the sea over and above their own personal researches, and why they regarded the Challenger Society and its work as so important in this context, and persuaded others to join them in the enterprise. George Herbert Fowler was born in 1861. His father was a Church of England clergyman and headmaster of Lincoln Grammar School, and his mother, Martha, was a sister of the architect G.F. Bodley. He was educated at Marlborough and Eton before going up to Oxford in the autumn of 1880. In 1883 he attended a lecture by Henry N. Moseley, recently appointed to the Chair of Anatomy and one of the scientific team that had sailed in HMS Challenger on her oceanographic expedition of 1872-76. This made such an impression on Fowler that a year later he abandoned his existing studies for zoology and obtained his BA in Natural Science, with the ambition of following his mentor. Between 1884 and 1887 he held a Berkeley Fellowship at Owen's College, Manchester, and also studied for his Ph.D at Leipzig. There followed several teaching and other posts, including Acting Director of the Plymouth Laboratory of the Marine Biological Association in 1890. For a while he was assistant to E. Ray Lankester at University College, London, and in 1891 he returned there to work for W.F.R. Weldon, the newly appointed Professor of Zoology. At UCL Fowler became Assistant Professor of Zoology but narrowly lost out to E.A. Minchin when he applied to succeed Weldon in 1899. Departmental duties absorbed much of his energy, but he had a strong practical bent and became interested in the attempts being made to develop plankton nets with closing mechanisms which could be deployed at specific depths - equipment not available to the Challenger. Alexander Agassiz's claim to have shown that there was no midwater fauna acted as a stimulus to those who distrusted his results. Fowler experimented with nets of his own design in cruises of the survey ship HMS Research in 1896 (see opposite) and 1897, and again in 1900. However, he was frustrated at the lack of opportunity to carry out the fieldwork necessary to develop his ideas on plankton distribution. This, together with eyesight problems and failure to gain promotion, may have played a part in his resignation from UCL in 1909. He had married as a young graduate, but the the marriage had broken down so he had no family to support and was able to retire to a house in the country, bought some years earlier. Richard Norris Wolfenden was born in Lancashire, in 1854, the eldest son of an accountant who was twice mayor of Bolton. Wolfenden took a degree in Natural Science at Cambridge, before embarking on medical studies. He trained at the London Hospital and was appointed senior house physician there after obtaining his Cambridge MD in 1884. During the next few years he held appointments at several London hospitals, including lectureships in physiology, and published papers on medical research. Of particular significance in the present context was his association with Morell Mackenzie who had founded the Hospital for Diseases of the Throat in 1863. Wolfenden joined Mackenzie's staff in 1885, and two years later, together they founded the Journal of Laryngology, with Wolfenden acting as editor. Mackenzie's career was blighted when he failed to cure Queen Victoria's son-in-law, Frederick, on whom high hopes had been pinned for a new era of liberal reform in Europe, but who died of throat cancer shortly after succeeding as Emperor of Germany in 1888. The scapegoating of his mentor so disgusted Wolfenden that he abandoned his medical career soon after Mackenzie's death in 1892.
qualified to join the ranks of the dredgers, and he spent the summers of 1896 and 1897 working in the seas around Orkney. At this period he was experimenting with X-rays in medical research, and made use of them in identifying and describing his marine specimens. Between June 1899 and August 1900 he made periodic cruises to scientific stations in the Faeroe-Shetland Channel, carrying out both biological sampling and hydrographic observations. He visited the area again in the summers of 1901 and 1902, on the latter occasion in a new and larger vessel, the Silver Belle (1 30 tons). Wolfenden's intention here was to carry into operation the idea shared by many marine scientists since the Challenger, that the way forward in research was a more detailed investigation of promising areas. However, from 1902 onwards the Fishery Board for Scotland included his stations in the observations it was making as part of the network organized by the International Council for the Exploration of the Sea (ICES), so in 1903 Wolfenden began working west of the Faeroe-Shetland Channel. For the next few years his voyages ranged more widely, some to the Azores, Madeira and Gibraltar, looking at the impact of the Mediterranean outflow, while other cruises in more northerly waters were designed to link in with ICES projects. In his work on marine organisms Wolfenden specialized in radiolarians and copepods. This work, and his wider interests in marine research, brought him into contact with others in the same field both at home and abroad, and he joined the relevant scientific societies (Linnean, Zoological, Microscopical etc.). It was their shared experience of such meetings that gave Fowler and Wolfenden the idea of establishing yet another society. Fowler later recalled that 'when we read papers to one of the established Societies, we had the feeling that no one present seemed to care about marine work; we felt like two little Babes on the Beach picking up seaweed and dead shrimps.' At the meetings held by such bodies marine scientists were generally in the minority and it was difficult to generate any discussion of developments going on in oceanography. A small informal society ... for the study of Oceanic Zoology and Botany, at the meetings of which papers should be read, specimens exhibited and so forth, bearing on the faunistic, systematic, practical, and other aspects of oceanic zoology, and on oceanic physics, chemistry, and meteorology, in their biological relations. Four others were present at this inaugural meeting: E.J. Allen (Director of the Plymouth Laboratory since 1895, and MBA Secretary), E.T. Browne, L.W. Byrne and E.W.L. Holt. Browne was a distinguished amateur zoologist who spent much time at the Plymouth Laboratory and materially aided its progress; both he and Allen had been mature students and worked under Fowler at UCL in the early 1890s. Holt had studied natural history after being invalided out of the army. His first post was as assistant naturalist during the trawling survey off Ireland under the Rev. W. Spotswood Green in the early 1890s. He subsequently worked for the MBA, taking charge of their North Sea investigations. In 1898 he returned to Ireland to undertake a programme of investigation of food fishes. In 1899 this work was taken over by the Department of Agriculture and Technical Instruction for Ireland, and Holt succeeded Green as Chief Inspector of Fisheries. Lucius Byrne was a lawyer and amateur zoologist who published in association with Holt and was also an MBA member. These six elected themselves, and nine others, as the first members of the Challenger Society for the Promotion of the Study of Oceanic Zoology and Botany. However, at the Society's first general meeting the following October there was a small but significant change of emphasis in its title which then, following a proposal by Fowler and Allen, became the Challenger Society for the Promotion of the Study of Oceanography. It is not difficult to understand why it was decided to commemorate the voyage of the Challenger in this way. Sir John Murray, one of the two surviving scientists of the Expedition (the other was John Young Buchanan who never joined) was one of those elected at the first meeting. 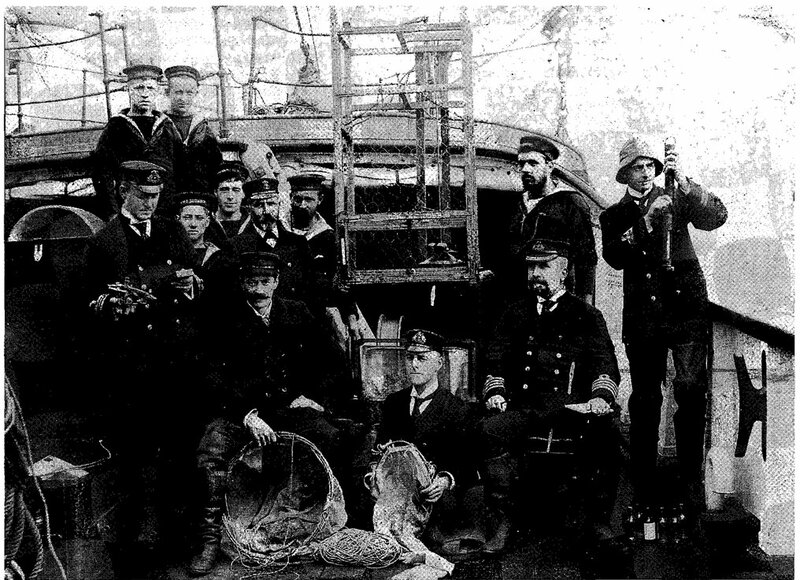 The rest of the Society's scientific membership had on the whole been too junior even to have contributed to its report (completed in 1895), *2 but the Expedition's impact had dominated the training of their generation of marine scientists. In the case of Fowler, as we have seen, the link was also a personal one, through the teacher who had inspired him in his early days. At the second ordinary meeting of the Society, in October 1904, it was decided that the surviving officers of the Expedition could be proposed as honorary members, as might 'foreign gentlemen distinguished in Oceanographic Research'. Years later Captain Herbert Swire, formerly navigating sub-lieutenant in the Challenger, became a member under this rule, but Alfred Carpenter, one of the lieutenants, became an ordinary member in 191 3. The 'foreign gentlemen' elected to honorary membership during the first twenty years were Karl Brandt, Carl Chun and Max Weber (all in 1905), Prince Albert of Monaco (1910), G.O. Sars (1915) and Johan Hjort (1921-22). The first ordinary (scientific) meeting was held on 29 April 1903. Thereafter, such meetings took place four times a year in London, in the Royal Society's rooms, normally in January, April, June and October, in the evening of the same day as MBA Council meetings (usually 8.30 p.m.), thus facilitating attendance for those involved with both bodies. Whether informal dining arrangements existed is not recorded in the early minutes but on several occasions (as on 29 April 1908) Murray invited members to dinner beforehand, and the later custom of dining together presumably evolved in this way. The format of the scientific meetings typically included Society business and one or more papers on current research by members (such as Fowler's 'destructive test of Hensen's theory of the uniformity of plankton over large areas' on 27 June 1906), followed by discussion. Members could also exhibit apparatus, data and specimens. Reports of proceedings regularly appeared in The Athenaeum. Fowler was appointed Secretary at the first meeting, and continued in that position until 1910. His role was the more influential because the in those days Society had no President. Originally, there had been the intention to have one but, according to H.R. Mill, this was not done because appointing one of the two oldest and most eminent figures in the Society - Sir John Murray and E. Ray Lankester - could well give offence to the other. The custom then adopted, of choosing a meeting chairman from those present on the day, continued until the 1980s. In the early years, the Society's affairs were run by the Secretary, an Auditor or Treasurer, and a Committee; other committees were set up from time to time for specific tasks connected with the Society's activities. The provision of a forum for marine science was important, but this was not intended to be the Society's only function. 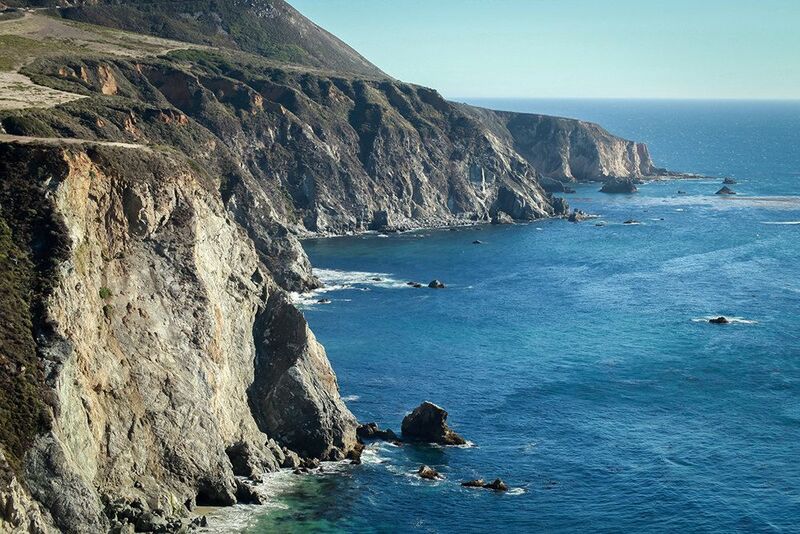 Both Fowler and Wolfenden took seriously the Society's stated aim of promoting oceanography, and during the early years they were at the forefront of several initiatives designed to encourage ocean science. The first was the publication of a blank working chart of the world, undertaken as a result of a proposal by Fowler, who had been keen to carry out such a project but unable to afford it on his own. The first two sheets were published during the Society's first full year and all six had appeared by the time of the 1906 annual meeting, together with a blank chart of the world on one sheet, and six smaller charts showing mean annual isotherms of all oceans and seas (the committee acknowledged the assistance of Gerhard Schott of the Deutsche Seewarte with the latter). Fowler persuaded the Society to finance the work by raising the annual subscription from five to ten shillings. Not everyone was happy about this, but the charts sold well overseas and actually paid their way. At the first scientific meeting, Fowler had suggested that the Society might sponsor the compilation of a card index of publications on oceanic zoology and botany between 1846 and 1900. A committee set up to report on this proposal became the publications committee the following autumn, when it was also charged with overseeing the blank charts. On its recommendation the Society decided to go ahead with the project, but work on the catalogue did not begin in earnest until 1907 when L.A. Borradaile, a Cambridge zoologist who had sailed with Fowler in the Research in 1900, was appointed editor. The project was financed by Sir John Murray but it was still in progress when he died in a motor accident in 191 4. Loss of his support and rising prices after the First World War meant that the intention of printing the catalogue in book form had to be abandoned, but the original card index, which by completion extended from 1758 to 1907, is in the National Oceanographic Library, located at the Southampton Oceanography Centre. The third major project undertaken by the Society in these early years was the publication of Science of the Sea (1912). However it was not the first book to appear under the Society's imprint. This was Wolfenden's volume, Scientific and Biological Researches in the North Atlantic, which appeared as the first (and only) memoir of the Society in 1909. This was an account of the results from his own voyages and, as Damkaer points out, though Wolfenden himself did not contribute directly to Science of the Sea, 'his work reflected the essence of the book's viewpoint', i.e. belief in the value of the role of individuals in making scientific observations at sea and supplementing the work done by official organizations and expeditions. Science of the Sea consisted of chapters on different aspects of marine science and the equipment and methods employed in their study. Most were written by Society members,*3 and the whole was designed to be useful to people not necessarily trained in science: travellers, sailors, yachtsmen and the like, who had opportunities for making observations at sea. Work on the book began in 1906 but it was not published until 191 2, a measure of the difficulty that Fowler, as editor, had in getting some of the contributions completed. He nevertheless felt that the effort had been worthwhile and that the book had succeeded in arousing a wider interest in oceanography. One person who later acknowledged the impact it had made on him was Henry G. Maurice, *4 an influential figure in government scientific patronage between the wars. He was sent a copy by Lucius Byrne (an old schoolfellow and the Society's Auditor and later Treasurer) when he was appointed Head of the Fisheries Division of the Board of Agriculture and Fisheries in 1912. The continued need for a work of this kind led to a revised second edition, edited by E.J. Allen, which appeared in 1928. At the time of its first appearance, however, some members felt that there was also scope for a rather different kind of book, one that would serve as a more general introduction to marine phenomena. The idea first arose because Fowler had turned down the proposal for a chapter on ornithology. Alfred Carpenter and David Wilson-Barker (who had had a career in sailing ships and as master of cable ships before becoming commandant of the training ship HMS Worcester in 1891), jointly wrote Nature Notes for Ocean Voyagers, published in 1915 and illustrated with Wilson-Barker's photographs. This too went into a second edition in 1926. During these early years, as well as pursuing its own projects, the Society also had interesting contacts with scientists overseas, some of whom attended its meetings as guests. Fowler corresponded with officers of the French Societe. d’Oceanographie du Golfe de Gascogne (see Further Reading). At their suggestion, the Society organized the British exhibit in the oceanography section of the Exposition coloniale at Marseilles in 1906. Fowler also represented the Society at the opening of Prince Albert's Musee oceanographique at Monaco in 1910. Another contact was Charles Atwood Kofoid, Professor of Zoology at the University of California, Berkeley, and closely associated with W.E. Ritter in setting up the Scripps Marine Biological Laboratory. He was anxious to see the establishment of an international journal for oceanography and hoped that the Society might take an active role in this. Fowler was keen, but at that time he was struggling to make progress with Science of the Sea and it was clearly unrealistic, given the limited resources of the Society, both in money and manpower, to take on such a major project unaided. Why were Fowler and the others so anxious to undertake these and similar projects, and to make the Society more than an after-dinner discussion group, even though the need for this had been the initial reason for its foundation? Fowler's own experience in finding it hard to get the opportunity to work on oceanographic problems was far from being unique at that time. While a considerable number of members held posts in government departments, universities, museums and the like, there were relatively few openings available, particularly for work in physical oceanography. The diversity of members' backgrounds and occupations reflected not only the Society's broad appeal, but also the fact that some members, such as H.R. Mill and H.N. Dickson, had found it necessary to pursue careers in different, though related, fields. Government funding for science was still relatively unusual in the late 19th and early 20th centuries. Sending an expedition to observe an eclipse, or even a Challenger expedition was one thing; regular support, whether for a research programme at sea or a laboratory on land, was quite another, unless it was clearly linked to fishery problems which successive governments could not ignore because of the economic importance of the industry. It had proved harder than expected for private enterprise to fill this gap, and the Society did not attempt to initiate large-scale projects, which would have been totally beyond its capability. Rather, the emphasis was on efforts to stimulate interest among the wider scientific and maritime communities and to give practical assistance where possible. It is difficult to gauge just how successful these efforts were but the Society clearly was effective in its deliberately modest objectives, acting as a focal point for the British marine science community in the lean years following completion of the Challenger work and before the gradual improvement in resources between the two world wars. From the beginning, Fowler intended that the Society should cover all branches of oceanography, though the emphasis was bound to be on marine biology as physical oceanography was so under-represented in Britain at this stage (although its significance was appreciated). The final choice of title was both succinct and inclusive, and the young Society had a diverse membership united by a common interest in the sea. Nevertheless, in some ways the membership was unrepresentative, to some extent deliberately so as it restricted its numbers and excluded women altogether. In addition, some of the senior figures - in British marine science never joined and it is interesting to speculate why this should have been so. It is not surprising that there were tensions within the marine science community at that time. In the context of the Challenger Society itself, too much should probably not be made of the divisions caused by personal antipathies, differences in viewpoint, and rivalry due to competition for scarce resources, but there is no doubt that, outside, strong feelings were engendered. These may have been at least partially responsible for the fact that, for example, W.A. Herdman never joined and, with one brief exception,*5 neither did any of his associates in the various organizations active in the north-west of England and the Isle of Man. Likewise W.C. M'lntosh of the Gatty Laboratory at St Andrews held aloof, though his Dundee colleague and eventual successor, D'Arcy Thompson, joined in the first year. Of the recognizable groupings that were represented in the Society, the most obvious is that of staff of the Plymouth Laboratory, together with associates and supporters such as G.P. Bidder and E.T. Browne. E.W.L. 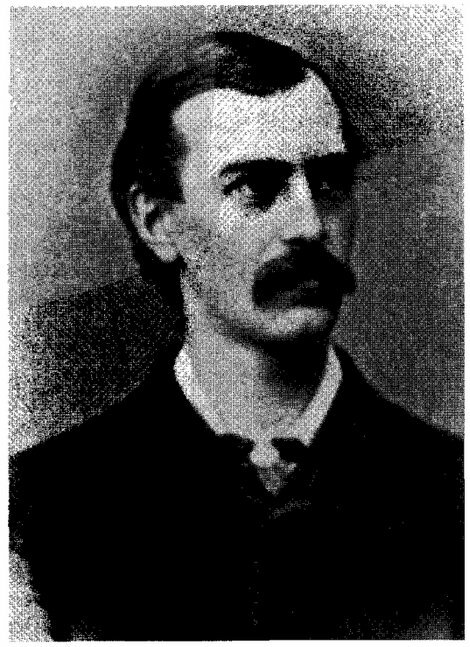 Holt, one of the most active early members, fell into this category, but he also formed part of another grouping, as he clearly encouraged the staff of his research team in Ireland to become members. Theseincluded the young Stanley Wells Kemp (elected 1905) who would become Scientific Director of Discovery Investigations in the 1920s. Other notional groupings can be identified, such as Cambridge zoologists, or staff from the Natural History and other museums, though whether they acted in any sense collectively is not apparent. There was also a degree of association by occupation or subject. Marine biologists formed by far the most numerous section of the Society, but there were a few physical oceanographers, in particular H.R. Mill and H.N. Dickson. Another distinct group was the seafarers: naval surgeon-naturalists like P.W. Bassett Smith and surveyors such as H.P. Douglas and J.D. Nares. Some individuals who joined, such as the early geneticists Reginald Punnett and Leonard Doncaster, stayed only briefly as their main interests lay elsewhere. Others remained active supporters for many years. The notion that membership numbers should be limited was not part of the original design of Fowler and Wolfenden, but was proposed soon after the Society's establishment. The idea of exclusivity obviously appealed to enough members for them to carry the day and it was agreed to restrict the membership to thirty. Whether this affected the growth of the Society by preventing others from joining, or by putting them off, is not clear. In practice, within a couple of years, when the number of ordinary members had risen to 29, the limit was increased to 40 on Fowler's urging, and in 1911 to 50. Membership did not exceed this number till the mid-1920s, by which time the limit had presumably been abandoned. The admission of women took rather longer. Their exclusion had been deliberate from the start, in spite of the fact that (with the exception of ocean-going cruises) they were active in all aspects of marine science, and especially in marine biology. Most other scientific societies had women members; even the Linnean Society, where the Society sometimes held its meetings, admitted them from 1905. The Challenger Society, however, maintained its policy of exclusion until the Royal Society (where it customarily met) itself lifted its ban after the Second World War. The effect of this hurtful policy, which seems to have stemmed principally from the desire for more informality at meetings than would have been possible under the rules of Edwardian etiquette if both sexes had been present, was to some extent mitigated by the introduction of joint meetings in the 1920s. Such developments are, however, beyond the scope of this article whose purpose has been to look at both the immediate and the underlying reasons for the foundation of the Challenger Society and how the Society and its founders went about carrying out its objectives in its early years. The initial momentum provided by Fowler and Wolfenden was in fact of comparatively short duration. Wolfenden had been extremely active in the Society's early years, publishing not only his Challenger memoir but also the results of his plankton studies. However in 191 0 he gave up this work and moved to Canada where he and his second wife bought a fruit farm near relatives in Grimsby, Ontario. He died there in 1926. Fowler's withdrawal from the management of the Society, which happened at about the same time, was not so abrupt or final. Though he resigned as Secretary in 191 0, and thereafter lived mainly in the country, he continued to attend meetings and take an interest in its progress. However, oceanography soon came to occupy less of his time because of his growing passion for local history and its sources. This interest stemmed from restoring his new home, 'The Old House' at Aspley Guise in Bedfordshire. Not content just to pursue his own researches, following election to the County Council in 191 2 he was appointed to the County Records Committee, becoming its chairman six months later. He immediately began transforming the existing muniment collections into what in 1930 became the first County Record Office, an example soon after adopted by other counties. He continued to oversee its work until shortly before his death in 1940. He also established the Bedfordshire Historical Record Society in 191 2, acting as general editor for many years, and also as editor of many of the texts that Society printed. Though Fowler's principal energies during the last thirty years of his life were devoted to these new interests, establishing a more permanent reputation for himself both as archivist and mediaeval historian, there is a coda to his involvement with marine science and the Challenger Society. During the First World War he was back in London as a volunteer at the Admiralty, where he was employed in the Hydrographic Office compiling charts of oceanographic and other relevant data for use by submarines. Mindful of his earlier work for the Challenger Society, in 1916 he produced a pamphlet Charts: their Use and Meaning under the Society's imprint. It was, he said, written for the general public to help redress 'our national ignorance of the sea on which our existence mainly depends'. His continued sense of the importance of oceanography also led him to propose that research should be carried out by the navy after the war was over. Though these suggestions enjoyed only limited success, they did result in some useful being done during the inter-war period. Bell, P. L. (1974) Dr G. Herbert Fowler, C.B.E. Bedfordshire Magazine, 14, 1 57-62. Bell, P. L (2002) George Herbert Fowler and county records. Journal of the Society of Archivists, 23, 249-64. Carpenter, A. and Barker, D. W. (1 91 5) Nature Notes for Ocean Voyagers, Charles Griffin, London. Carpine-Lancre, 1. (1 995) La Societe d'oceanographie du golfe de Gascogne., pp.31-42 in (eds) J. Bourgoin and J. Carpine-Lancre, L'Aventure maritime, du golfe de Gascogne a Terre-Neuve (Actes du 118' congres national annuel des societes historiques et scientifiques, 1993). Editions du CTHS, Paris. Damkaer, D.M. (1 989) R. Norris Wolfenden, M.D. : the medical episode. The Journal of Laryngology and Otology, 103, 1005-1 01 3. Damkaer, D.M. (2000) Determination and enthusiasm: Richard Norris Wolfenden (1 854-1 926), his Plankton studies and other things oceanographical. Archives of Natural History, 27, 209-29. Deacon, M. (1984) G. Herbert Fowler (1 861-1940): the forgotten oceanographer. Notes and Records of the Royal Society of London, 38, 261-96. Deacon, M. (1 990) British oceanographers and the Challenger Society, pp.34-40 in (eds) W. Lenz and M. Deacon, Ocean Sciences: their History and Relation to Man. Deutsche Hydrographische Zeitschrift, 822. Fowler, G.H. (ed.) (1 912) Science of the Sea. An elementary handbook of practical oceanography for travellers, sailors, and yachtsmen, John Murray, London. Fowler, G.H. (1 91 6) Charts: their Use and Meaning, J.D. Potter, London. Mills, E. L. (1 980) Alexander Agassiz, Carl Chun and the problem of the intermediate fauna, pp.360-72 in (eds) M. Sears and D. Merriman, Oceanography: the Past, Springer-Verlag, New York. Wolfenden, R. N. (1 909) Scientific and Biological Researches in the North Atlantic, conducted by the Author on his yachts 'the Walwin'and 'the Silver Belle', Rebrnan, London. *2 An exception was H.R. Mill who in the mid-1880s had been on the staff of Murray's Scottish Marine Station at Cranton and, like the young assistants employed at the Challenger Office, had contributed to the preparation of the volumes. *3 However one, the chapter on algae, was written by Mme Anna Weber-van Bosse, wife of one of the honorary members. *4 H.G. Maurice joined the Challenger Society in 1916. For more information about him, and the text of his address 'Where the Society Stands', given in 1945, see Ocean Challenge, Vo1.7, No.2, 1997, pp.3-7. *5 This was I.C. 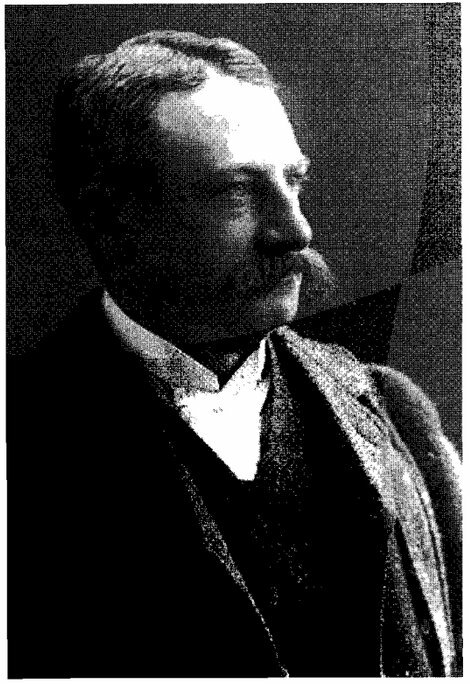 Thompson, a member of the Liverpool Marine Biological Committee, who joined in 1903 but died the same year. Photos by courtesy of David M. Damkaer. Margaret Deacon is a historian of oceanography. She was formerly attached to the Department of Oceanography at Southampton (now School of Ocean and Earth Science), but now lives in the West Country.